USA Team Handball has named Barry Siff as its chief executive officer, effective immediately. 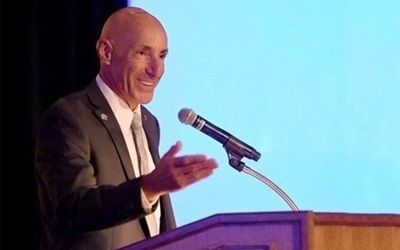 Siff will succeed Michael Cavanaugh, who will remain on staff as operations director, working with Siff to align the national governing body’s policies and procedures with USOC programs and manage domestic and international competitions. Siff has experience in the Olympic movement having served as the volunteer president of the USA Triathlon board of directors from 2014–2019. He resigned from that board position earlier this month to take on the full-time position at USATH. The USA Team Handball board of directors has been working to implement a strategic plan that was outlined in August 2018. That plan called for hiring a CEO who can help grow the sport at the highest and grass-roots levels through development activities, marketing, fundraising and solid leadership. In addition to his work at USA Triathlon, Siff had a career in the corporate business world, serving as senior vice president of ConAgra. He left there in 1998 to form 5430 Sports, an event management company in endurance sports that he later sold to Ironman.